In 1352 King Edward III had expanded the legal definition of treason to include the act of imagining the death of the king, opening up the category of "constructive" treason, in which even a subject's thoughts might become the basis for prosecution. By the sixteenth century, treason was perceived as an increasingly serious threat and policed with a new urgency. Referring to the extensive early modern literature on the subject of treason, Imaginary Betrayals reveals how and to what extent ideas of proof and grounds for conviction were subject to prosecutorial construction during the Tudor period. Karen Cunningham looks at contemporary records of three prominent cases in order to demonstrate the degree to which the imagination was used to prove treason: the 1542 attainder of Katherine Howard, fifth wife of Henry VIII, charged with having had sexual relations with two men before her marriage; the 1586 case of Anthony Babington and twelve confederates, accused of plotting with the Spanish to invade England and assassinate Elizabeth; and the prosecution in the same year of Mary, Queen of Scots, indicted for conspiring with Babington to engineer her own accession to the throne. 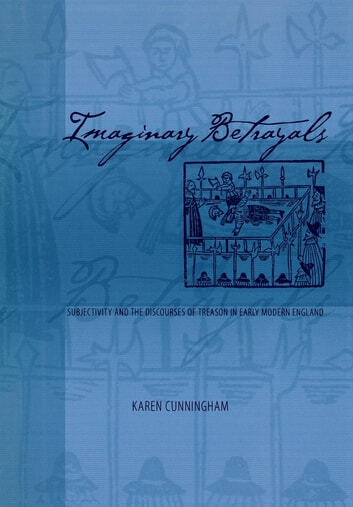 Linking the inventiveness of the accusations and decisions in these cases to the production of contemporary playtexts by Udall, Shakespeare, Marlowe, and Kyd, Imaginary Betrayals demonstrates how the emerging, flexible discourses of treason participate in defining both individual subjectivity and the legitimate Tudor state. 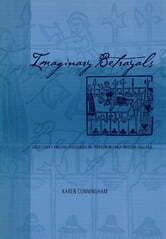 Concerned with competing representations of self and nationhood, Imaginary Betrayals explores the implications of legal and literary representations in which female sexuality, male friendship, or private letters are converted into the signs of treacherous imaginations.